Aside from the debatable semantics of the words (what exactly is the difference between “relax” and “unwind”, for example), the plans are being criticised by psychologist and Dalhousie professor Dr. Simon Sherry. “There’s a danger in all this. What our government and the NSLC are doing is that they are glamourizing and normalizing cannabis use”. But the NSLC doesn’t see things the same way. It says the categories were created to educate and inform Nova Scotians about the different products it carries and the effects of particular strains. “What we are doing here, in a very subtle way, is educating our consumers to the fact that this particular strain would create a different type of experience than another strain. But that’s not good enough for Dr. Sherry who also says that the messaging behind the categories targets those that are already prone to addiction, as the biggest motives for them to use cannabis would be to either enhance an experience or relieve stress- but aren’t those two of the biggest motivators for drinking for most people, too? So following that logic, does that mean anyone who smokes a joint or has a drink after work to relax is addiction-prone? It’s worth noting that Dr. Sherry has been one of the most vocal critics of Nova Scotia’s plans to sell recreational cannabis, and he has previously called out the province for its plans to sell cannabis in NSLC liquor stores in a store-within-a-store model, which is also known as colocation. Nova Scotia’s cannabis retail model is unique as it’s the only province in the country to sell cannabis in liquor stores, and even many cannabis activists are against it because they don’t want cannabis associated with alcohol at all. Does Nova Scotia not know about sativas and indicas? But Nova Scotia’s adoption of these 4 categories for cannabis products and strains raises a few important questions. 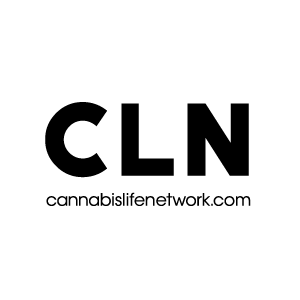 Classifying cannabis strains based on the two major types of cannabis plants has worked for years, and yet the NSLC is trying to create 4 new categories that are harder to differentiate from each other. Most cannabis users have a basic understanding of the difference between a sativa and indica- broadly speaking, sativas are more of the “head high” whereas indicas get you more of the “body high”. This raises the possibility that the new categories will be the most confusing to experienced cannabis consumers who will have to get used to the new ones of Relax, Enhance, Unwind, and Centre, because if we were to describe the “head vs. body” high of sativas and indicas using the NSLC’s categories, where exactly would they fit in? Featured image courtesy of the Globe and Mail. CBC: Nova Scotia breaking federal rules on cannabis marketing, critic says.